The Mountain View Police Activities League (MVPAL) is a very cool community service organization benefiting at-risk youth. MVPAL offers recreational and leadership opportunities to kids, with the goal of building understanding and communication between youth and police officers, which in turn diverts the kids from gangs and crime. So again, very cool! MVPAL is holding a fundraiser gala in the fall and LLB Designs was asked to provide design services for some fun pieces including save the dates and invitations. 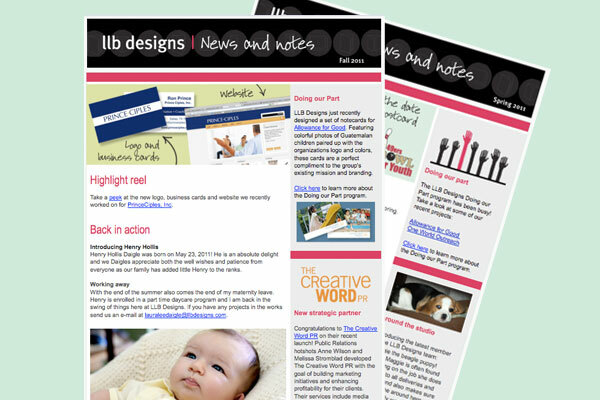 The save the dates, pictured above, were designed to be a simple, cost-effective postcard featuring the organization’s logo and color palette. 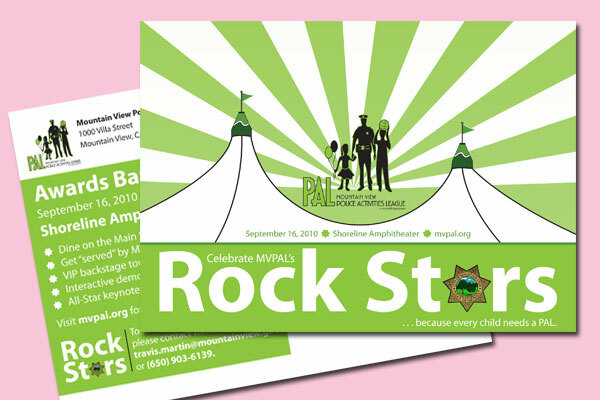 The theme of the event, “Celebrate MVPAL’s Rock Stars”, is prominent and uses a police badge in the typography to reinforce the backbone of the event. Shoreline Ampitheatre in Mountain View is donating their venue for the event, and a stylized representation of the facility’s distinct silhouette frames the design and adds a bit of visual interest. And to top it all off, the printing was generously donated by Google, which is also based in Mountain View, CA.